Now it is much easier to submit skins! We are happy to announce that starting today, normal Paintbrushes are now 1 Crystal. Deluxe Paintbrushes are now 5 Crystals instead of 10 Crystals, and Crystal Paintbrushes are now 10 Crystals instead of 15 Crystals. This makes creating and submitting skins much more affortable and enjoyable. Go to the Crystal Exchange to get your Paintbrushes today! Apply for the position today! If you feel you can produce art that matches our style, in a timely matter, we would love to hear from you. This is a paid position, part-time in nature, but with things looking up, potientially full time in the near future. If you are interested, please send us an email at contact@novilar.com with your portfolio or previous work, what you are looking to be paid, and your availability. We would love to chat with you! The Novilar Staff is excited to announce the winners of the October contests! The best dressed pet this month is #Dapple(54896) . This months contests are laid out to be the best yet, with even bigger rewards, and more fun to be had! Also, you can now remove a submission to a contest at any time, making it possible to then re-submit another submission. 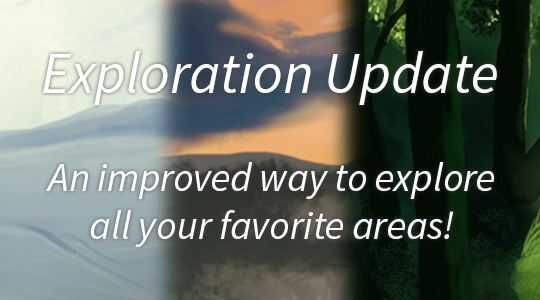 With exploration being a huge part of Novilar, we are proud to announce that it just got a facelift. Now when you explore, you will have an improved view, the ability to purify corrupted pets without leaving the exploration interface, and an overall nicer mobile experience if you happen to use your phone! This update is designed to allow us to prepare the path towards even more interesting future features (a-la battling maybe? ), so stay tuned, and remember to explore! Are you brave enough to help her? 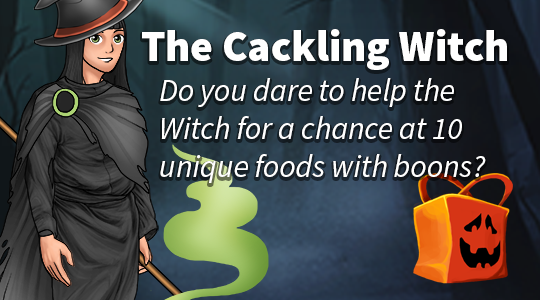 The Cackling Witch has appeared, and is asking for any and all explorers and adventurers to help her aquire some "Materials" for her sorcery. In return, it is said she is giving away great little bags full of interesting food items that are only available this month. These items, it is said offer unique limited-time boons to aid in exploration. Care to collect all 10 unique items. She asks for a new materi... minipet every 3 hours, so there are plenty of chances to participate, although you can only participate once per day. For those too impatient or connected to their Materia..Minipets, you can find these bags for sale for crystals in the Festival Stall as well. Festival of Death has Begun! Let all the spooky fun begin! It is that time of year where all the spooky, crawly, and dead things rule the land of Novilar! 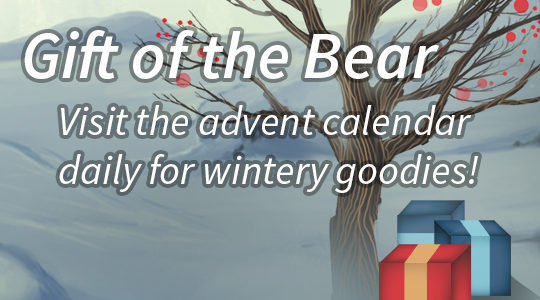 To start off this month in style, new contests are out, and the Festival Stall has a bunch of yummy goodies for you to partake in! Expect much more in store this month as we continue the celebration! This month is the Festival of the Alligator, so why not celebrate with some Riverboat styles? Based off the classic riverboat styles of the 20s and 30s, these classy outfits will make step up your fashion game - guaranteed! We also have a few classy Bowler hats, some nice pants for the gents, and a formal coat so you look dapper. These can all be found at the Magnifique Boutique! Welcome them aboard, and look forward to the future! Please welcome our new Community Moderation Team! In order to support what will be a growing site, a few weeks ago we asked for applications. In response we have chosen two individuals who we feel are the perfect additions to our moderation team. Welcome Owl and Antimoany, who will join Petraea. Their job is to help players that are new the game, as well as bring some awesome new community powered events and fun. They will also be working with me to increase communication of changes to the site, as well as promote it in a way to draw in new users. I look forward to growing Novilar with them. Please note, if you submitted an application and were not chosen -- your application has not been discarded, as the site grows, your application will be considered.